I travelled over to Capel Curig last night with a group of 17 students, and another instructor, in preparation for hill walking on Snowdon today. Staying the night meant that we were there for a reasonably early start in the morning. So it was breakfast at 7am, ready to jump in the vehicles by 8am. Being fairly early, there was still space in the Pen y Pass car park and we were all ready to go by 8.30am. Although the sun was shining, there was a bit of a breeze that not only took the edge of the heat, but created quite a chill. As a result, most of the students insisted on wearing an extra layer which they regretted within about 10 minutes of the start. My group took the Miners’ Path on the way up, meaning that we had a pretty level walk in along a major track for the most part, followed by a steep scramble to gain some height. These guys had limited experience in the hills, so heading up Snowdon was out of their normal experience. Frequent rests were needed to keep recharging the batteries, and we started to break the ascent down into smaller, more manageable chunks that seemed more attainable than looking up at the summit towering above us. We took a longer rest in the sunshine, on the bank of Glaslyn, where everyone took the opportunity to dunk their heads in the cool water. 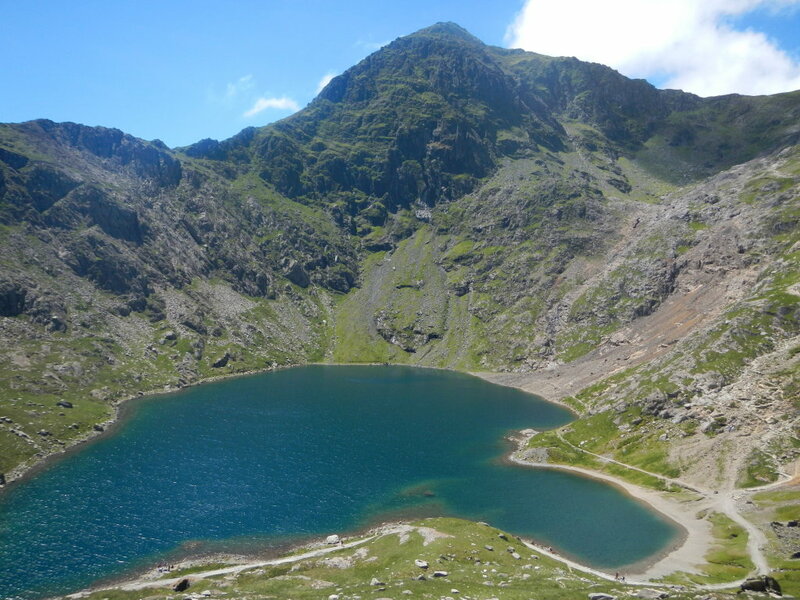 The scramble up from Glaslyn to join the Pyg Track, was a new experience for everyone. The obvious path disappears at a number of points, leaving you to make your own mind up and often involves a certain amount of using your hands. Some of the group seemed a bit uncertain of this to start with, but soon got into the swing of it. The rest of the ascent was straight forward enough. The hardest bit was fighting for a slot on the summit itself for the obligatory photo. After a brief rest, it was time to start our way down. 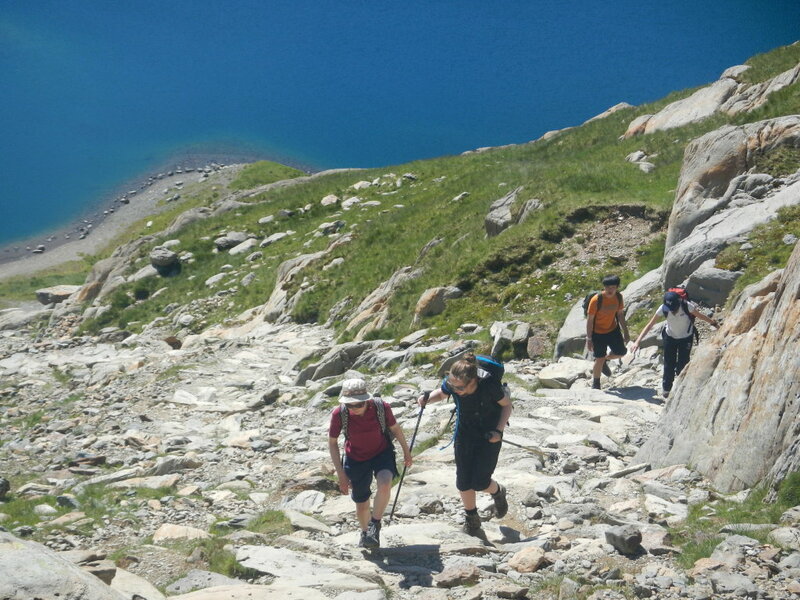 We opted for the Pyg Track all the way this time as it offered a steady descent for tired legs. With time to spare and glorious views, it was a very laid back walk to the minibus, and we all the groups seemed to arrive back within minutes of each other. Well done to everyone, for having the determination to keep going. Although it was a beautiful day, the heat did make it pretty draining. However, you don’t get many days as nice as this for hill walking on Snowdon.